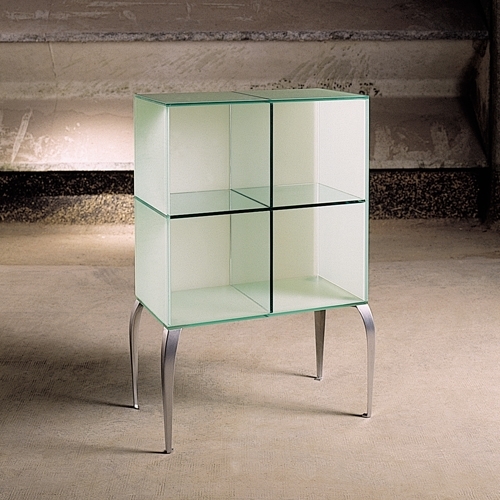 A rare Gelly display cabinet on delicate metal legs by multi award winning French designer Philippe Starck. Designed / launched by whom/when: The Gelly Collection was designed by Philippe Starck in 1999 for leading glass makers Fiam Italia. 4 designs were offered in transparent, orange, blue or green. Inspiration: Philippe was inspired by the ‘strict’ design of an Edwardian bedside table with it’s cubed body atop delicate curved legs. Fabrication: 10mm thick semi-opaque orange tinted tempered crystal glass on 4 diecast aluminium legs. 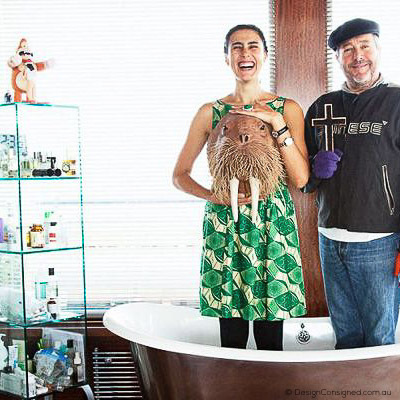 Design Consigned Stylist: Boudoir style according to Philippe Starck. Show off your perfectly packaged perfumeries or treasured objets d’art in this display cabinet. The orange tint adds an element of ‘pop’ art. Design Consigned Collector: A rare collector piece. 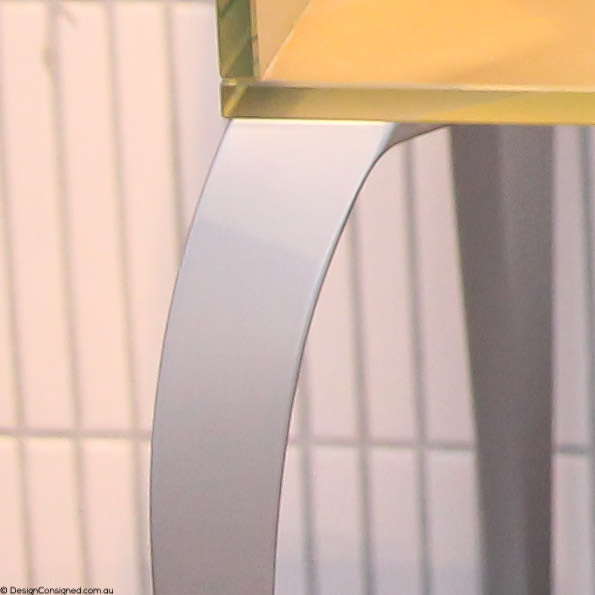 Quintessential Philippe Starck, always a nod to an era from the past. Authenticity: Purchased from Space Furniture in 2002. Original invoice viewed. DC Insider: Immaculate condition, looked like new to us. Doesn’t suit owners new home.